Unique to Arden Hills we cordially invite you to the first of many Whiskey Wednesday’s in The Clubhouse. If you have an appreciation of that most wonderful of libations, Whiskey…… or, Whisky, then take a seat and join us! For this night and in the coming months, we will be providing exceptional expressions of well known (and some less well known but no less exceptional) whiskeys for your appreciation and enjoyment. Together we are going to experience the whiskeys of the world including expressions from Japan, Canada, France, The United States, Ireland, and the five whiskey producing regions of Scotland. We will feature two new whiskeys on every third Wednesday of the month. When you are in attendance, there will be a tasting of each whiskey as well as a full pour of the whiskey of your choice. These whiskeys will be paired with exceptional food prepared by our Executive Chef, Dustin Harvey. Tasting notes on the selections, stories as well as brief histories of each distillery will be given from Tony Wann, the Clubhouse Supervisor & bartender. Space for this event is currently limited to ten seats, so don’t miss out. We hope to see you there! 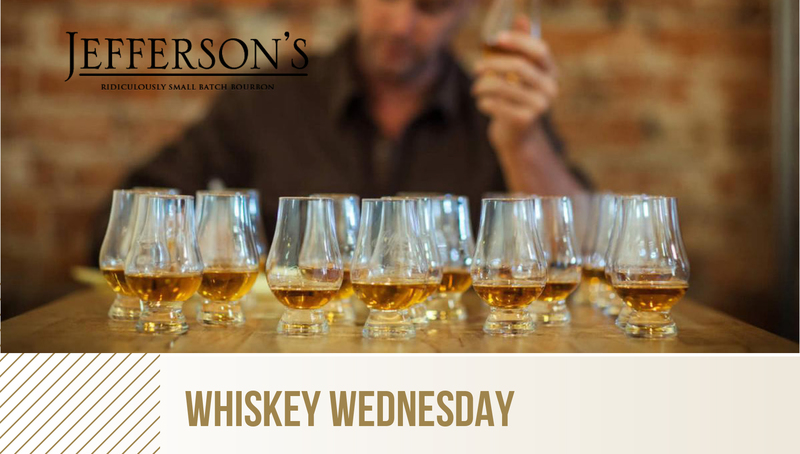 For February 20th’s Whiskey Wednesday we will be tasting Jefferson’s Ocean Aged at Sea Cask Strength and Whistle Pig 12yo Straight Rye with light food pairings of smoked pork ribs, sliced selected seasonal fruit, and house-made dark chocolate. THE CLUBHOUSE RULES & ETIQUETTE APPLY.